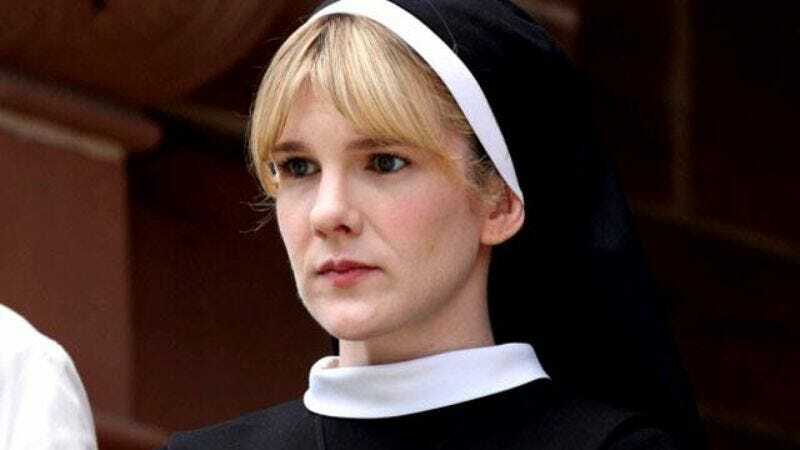 Last month, we passed on reports that Lily Rabe would be playing a “famous serial killer” on American Horror Story: Hotel, the latest incarnation of Ryan Murphy’s long-running horror anthology. Rabe, who has appeared in every season of the show in roles of varying size, will stand at the center of one of its annual traditions, the two-part Halloween episode, when the thin veneer of self-control that passes for “restraint” on American Horror Story tends to give way to full-on madness. In the cast of Hotel, that apparently means a pair of episodes, titled “Devil’s Night,” focused on Rabe’s performance as often-dramatized serial murderer Aileen Wuornos. Wuornos, most famously portrayed by Charlize Theron in 2004’s Monster, was convicted of the murder of six men who she claimed sexually assaulted her, and was executed in 2002. Murphy announced that the character would be checking into Hotel during a longer conversation about the new season as the Television Critics Association Press Tour, where he also went into detail about many of the characters—including those played by newcomers Max Greenfield and Lady Gaga—who would be appearing on the show this year. Gaga, for instance, will play Elisabeth, the owner of the Hotel Cortez, a “very wealthy social doyenne” who will apparnetly be wasting no time in getting involved with the requisite grisly murders and sinister plots when the show returns to FX on October 7. Meanwhile, Greenfield is playing a drug addict who checks into the hotel, which will be managed by a returning Kathy Bates. Other returning cast members include Denis O’Hare, playing Elizabeth Taylor enthusiast Liz, Wes Bentley as a detective, and Finn Wittrock as thrill-seeking male model Tristan Duffy, who “finds the biggest high in Lady Gaga.” All told, it’s a cast list that would sound completely insane if attached to any other show on TV, but will presumably elicit an ambivalent, “Hmm, interesting,” from fans of AHS.